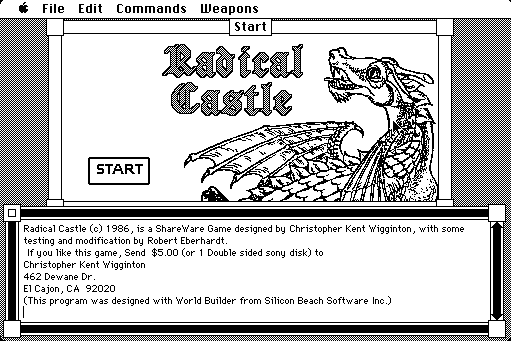 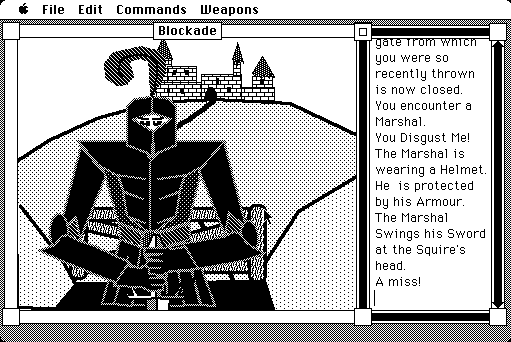 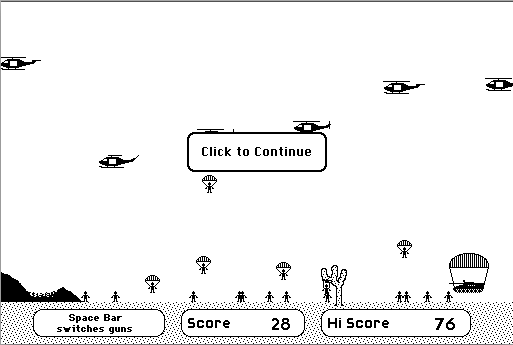 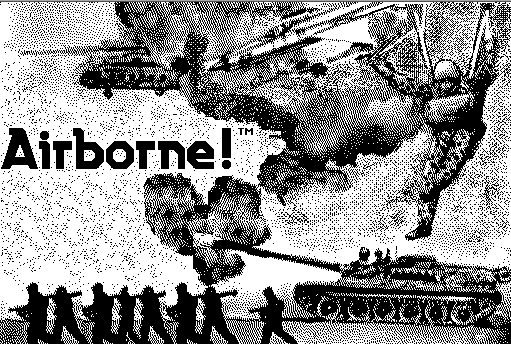 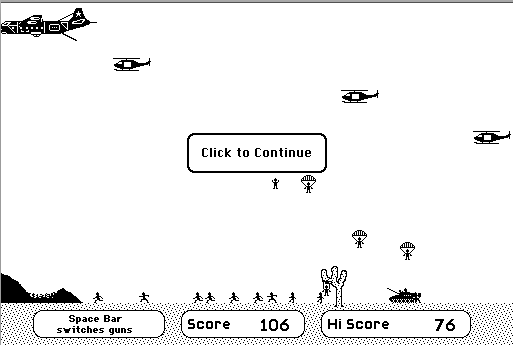 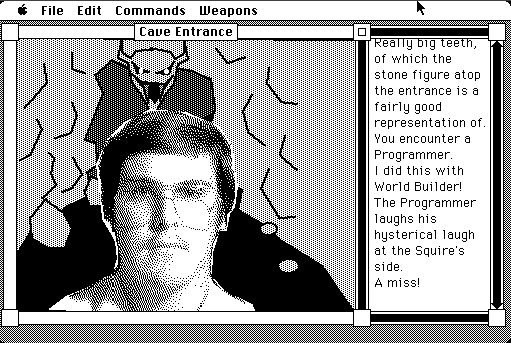 Before he co-created the legendary Mac game Dark Castle -- long before he led development on the now-dominant Flash multimedia platform -- Jonathan Gay made a little black-and-white game called Airborne. 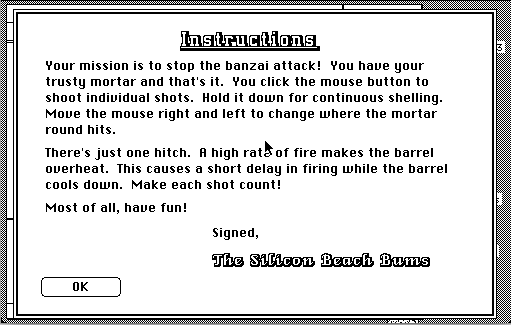 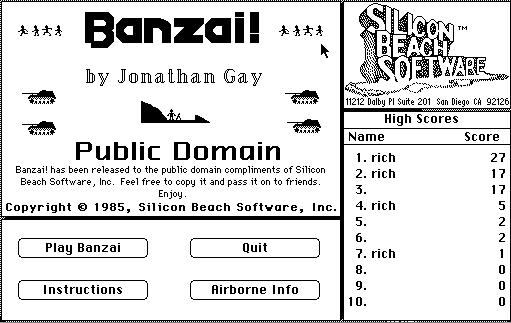 The Macintosh was still in its infancy at this point, and Airborne was released more-or-less alongside the freeware Banzai!, but this did little to detract from Airborne's appeal. 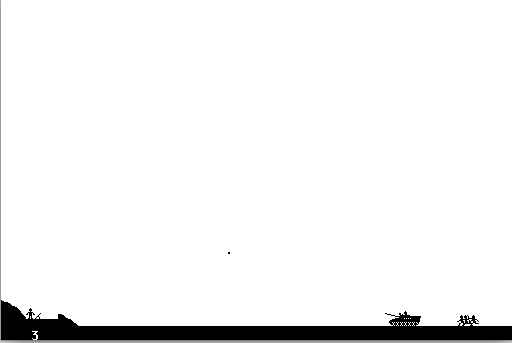 The concept is simple: destroy the advancing tanks, planes, helicopters, and soldiers with your mortar or anti-aircraft gun before they reach your position. 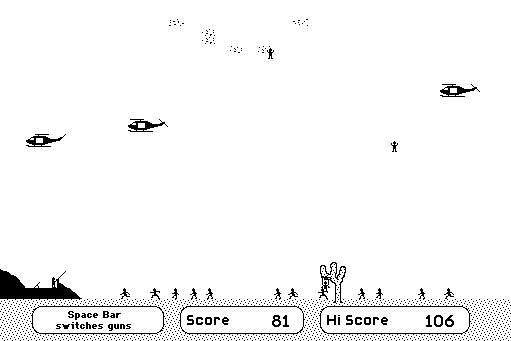 If someone gets close enough to shoot you, you lose -- presumably ending an admirable, or perhaps foolish, last stand against all odds to repel an invasion force. 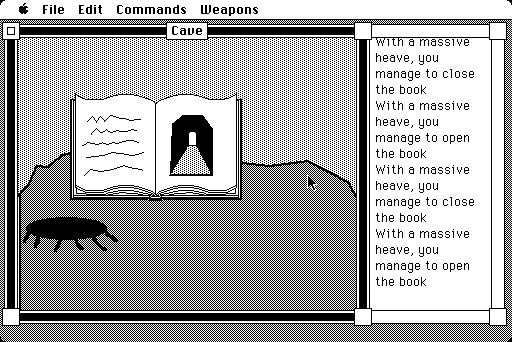 If you manage to defeat them all, a new wave arrives. 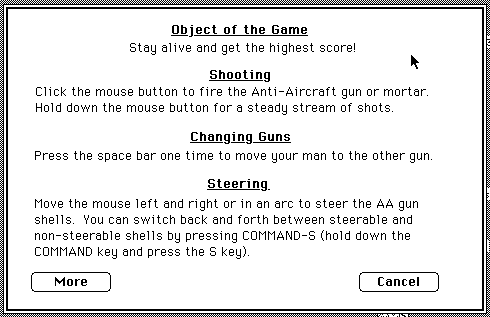 There is no winning, just a staving off of the inevitable and a hope of setting a new high score.